Every business needs a Web Design Geek on its team. Each business is different so you need to be treated as an individual. 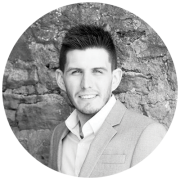 Head Web Design Geek Siôn Garrett loves code like you love new business leads. He gives you his years of web design and search engine expertise. That means you don’t have to worry about spending hours researching the most effective web design for you, or how to give your website the best chance of being found by search engines. Instead, you can spend that time elsewhere while our proven techniques help you generate more business. We’ve helped hundreds of businesses with a service tailored just for them – and we can do the same for you. We love helping our clients. We listen to them, find out their vision for their businesses, and advise them. We give them powerful solutions to help them deliver on their visions. If you have a one-page site or a large ecommerce site, we have the tools to help you. We pride ourselves on meeting deadlines and having happy, satisfied customers.